Athletes need to differentiate themselves from other athletes. And, yes, while controversial, Asian-Americans from other Asian-Americans. Admission to Princeton is the most highly competitive among East Coast universities, according to a data analysis. 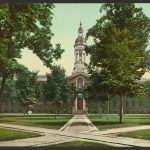 Princeton University admissions hardly went to the waitlist this year with only five reported students admitted off the list.